Consulting for Transportation & Logistics Cos. Sometimes you’re too close to a project to see the ideal solution. You may have a number of issues to juggle, and you don’t know where to begin. You may need someone not involved in your project to see your issue in a new way. 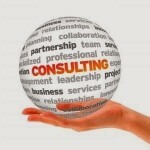 Maybe it’s time to consider consulting services? I can help you chart a course when you’re at a crossroads and not sure which direction to take. Not just any course, but the best course. As an “Industry Insider”, I have insights others don’t have. I can address your marketing needs quickly, effectively and efficiently. Using my industry expertise, I can create a tailored solution to benefit you. To ensure success, I follow a proven methodical approach. Successful consulting calls for an independent view. Additionally, it calls for a full understanding of the issue. To gain understanding, I employ three techniques. All three help me uncover the real issue. Listen: Listen to recognize the challenge (s) as well as the desired outcome. Learn: Go beyond the obvious – and uncover underlying issues to get at the root cause. Collaborate: Take a shared approach that considers all inputs and impacts. That’s what customized consulting means. It ensures success because I focus on your needs. I listen, I learn, and I provide a complete, outcome-based solution. I work with you every step of the way. And due to my keen understanding of the industry, you’ll save time bringing me up to speed. Every business has different challenges. And each challenge requires a unique solution. A cookie-cutter approach just won’t work today. My approach avoids duplication. It also uncovers the best path forward. That’s why I follow an integrated approach. I consider online and print media and look at how changes impact your overall message. Second and third order effects may muddle your message. They may increase costs. They may confuse your customer. I’ll help you cut through the fog. To do that, I look at your campaign like a supply chain – end-to-end. This leads us to an optimized solution. Whether you need to improve your lead generation, assistance with SEO, a social media campaign, or a content marketing strategy for an upcoming B2B trade show, I can help. You’ll outmaneuver the competition with my customized solutions. While it’s helpful to get outside advice, helpful guidance goes only so far. The missing – and crucial – piece is an action plan. 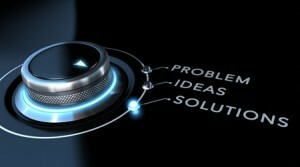 I’ll provide you with a concrete action plan to help you implement a customized solution. I specialize in developing content marketing strategies for B2B trade shows. Action plans ensure we stay aligned with our strategy. They keep us on time. And they keep us on budget. We have no surprises. Well… maybe just pleasant ones. Again, I’m there, every step of the way. We’ll work together to ensure success. You shouldn’t expect less, and neither do I. To sum up, I focus like a laser beam on your needs. I listen intently to your issues and ideas. And then I craft an action plan that pulls no punches. In the end, you’ll see real results. Do you have an issue that requires a customized solution? 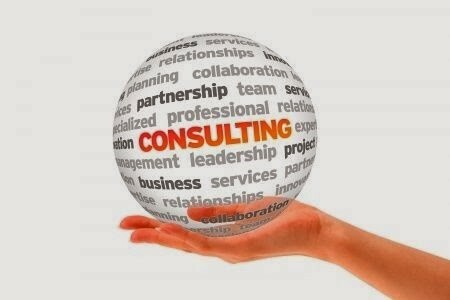 My customized consulting services focus on your needs. I’ll work with you to develop a complete solution. Call me at 256-886-4684 or email me at amilo@b2bcopywriting-alexmilo.com. It costs you nothing.